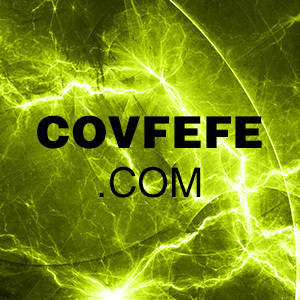 Covfefe.com didn’t sell at Flippa. The Flippa auction for the viral domain Covfefe.com ended after 13 bids, and a high bid of $4,550 dollars. Unfortunately, that was below the domain’s reserve price, and Covfefe.com wasn’t sold. Stemming from a jumbled up tweet by Donald Trump, “covfefe” became a viral meme of sorts, leading to thousands of “covfefe domains” getting registered. The registrant of Covfefe.com set up a web site selling items branded with the word, despite at least 34 pending trademarks at the USPTO. Perhaps he waited too long to sell this domain, and its steam has already dissipated. In other related news, Flippa introduced a $1 dollar fee for all domain classified listings, a move that might send cheapskate domainers packing. #PresidentialAlert .com poll : Is the #domain worth a new car, or a mortgage? If it wasn’t a shill bid, you have to reach out to the $4500 bidder. What kind of idiot puts a reserve on a name like that I wonder? Problem is it is $4500 and going down. I would have paid $10k on DAY ONE! But the most important 30 days is GONE! GONE! GONE! Those days NEVER EVER comes back and domainers NEVER EVER learn! I can’t make that back now. Now it’s a $5k gamble at best. Rick – Exactly! And that was, by far, one of the best meme-inspired domains in a long time.